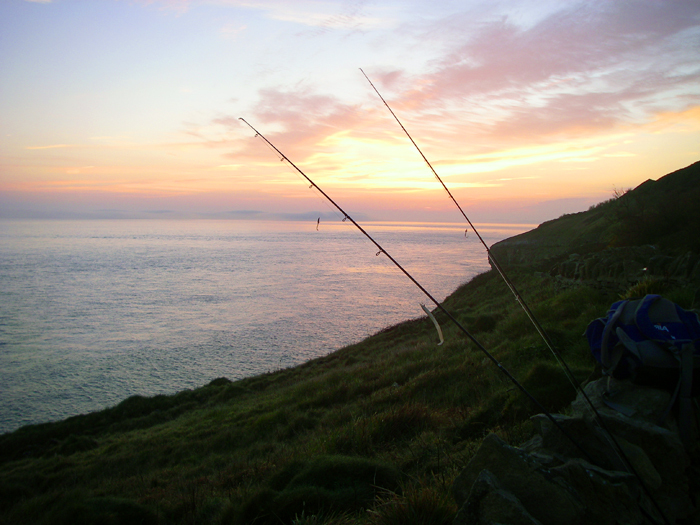 I'm still fishing in the sea when I get the chance - but not catching anything. Most other anglers that I know are in more or less the same boat so I'm not too concerned, it's bound to improve soon (it is- isn't it????). Anyway, because I've not posted a web page for a while (it's not very interesting to read about blank sessions) I thought I'd better revive some pre-close season fishing that I did. 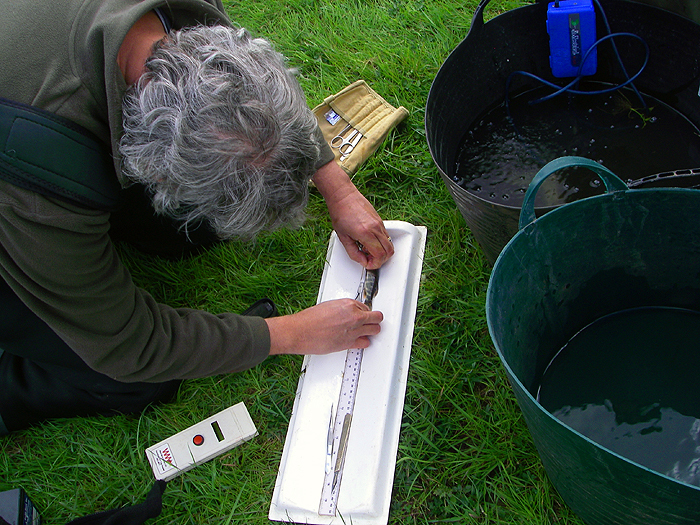 In fact I was helping some scientist pals to catch pike for a genetics study in one of my local rivers. 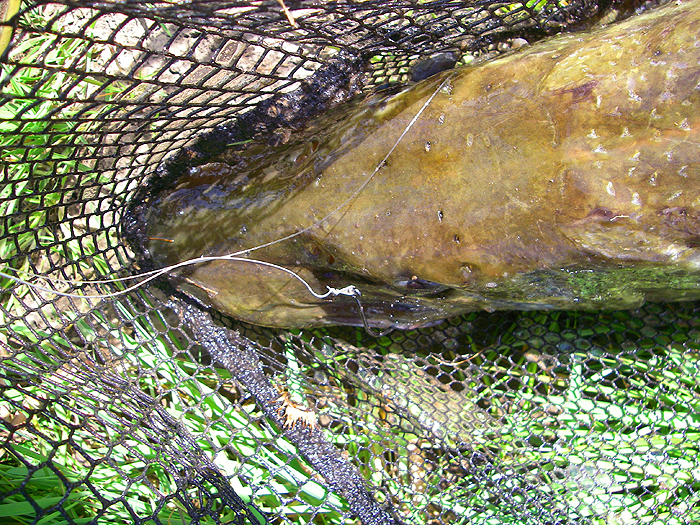 The pike are measured and a few scales are removed to check their ages. A tiny sample of fin is taken for DNA anaysis - the idea being to study the relationships between individuals. 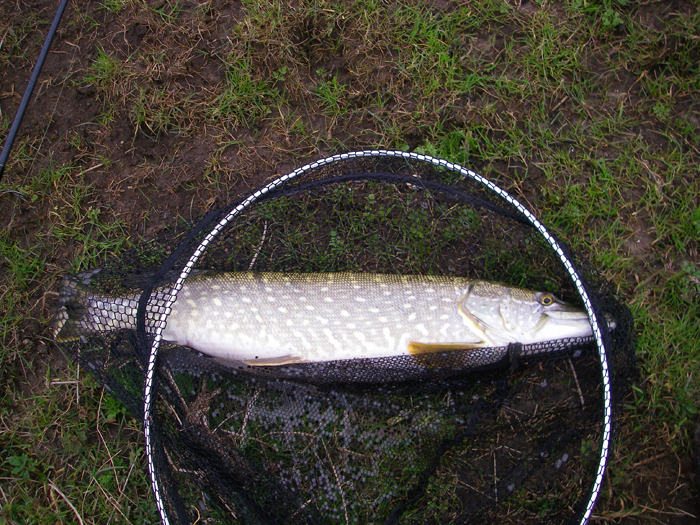 Electric fishing is also used to catch pike but these are usually much smaller on average than the ones I catch on rod and line. 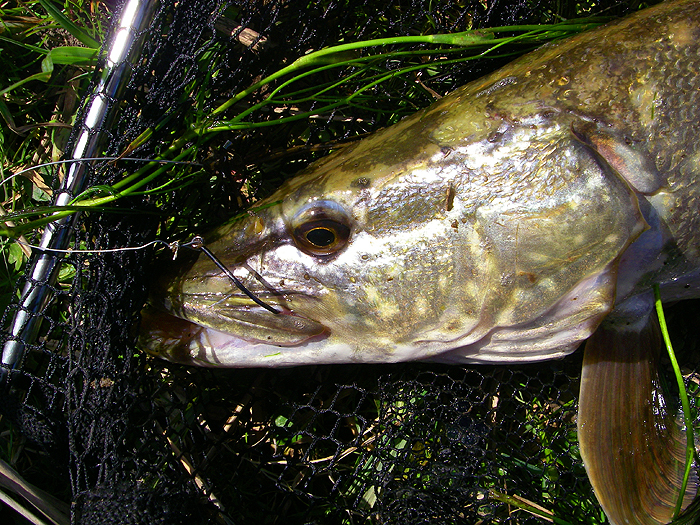 Together the methods provide a good cross section of the pike population. 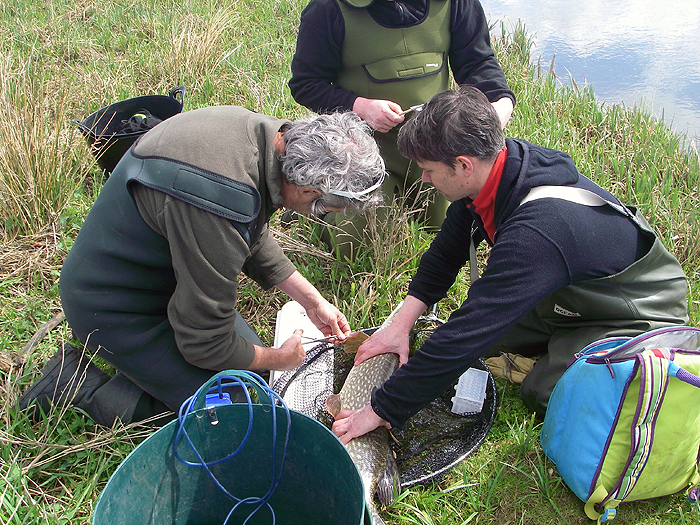 The scientists needed the pike to be caught, processed and returned in good order so I had to land them uninjured and handle them with care. This meant rod and line fishing with live or dead baits. 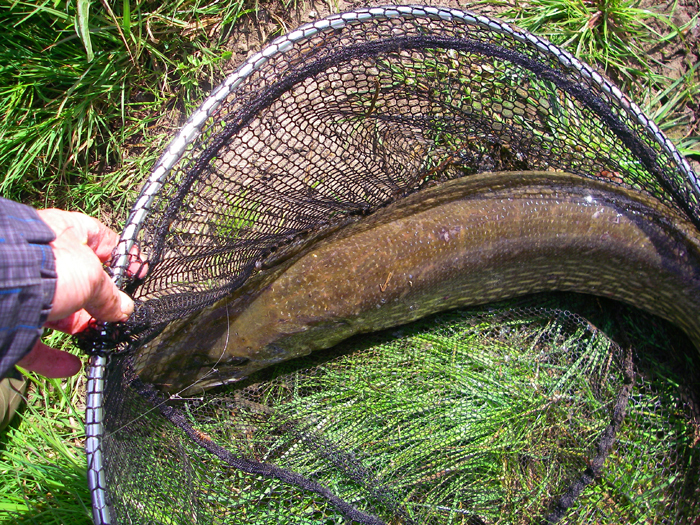 In order to avoid deep hooking and potential hook damage I used only a single circle hook and in three sessions landed four pike - all neatly hooked around the maxilla (=upper jaw). The fish weighed roughly 8lb, 10lb, 16lb and 20lb and were all released in mint condition after having little coded PIT tags implanted (similar to the ones they put in your cat or dog in case it gets lost or stolen). I think the pictures say it all.